It’s hard to hate a globe. 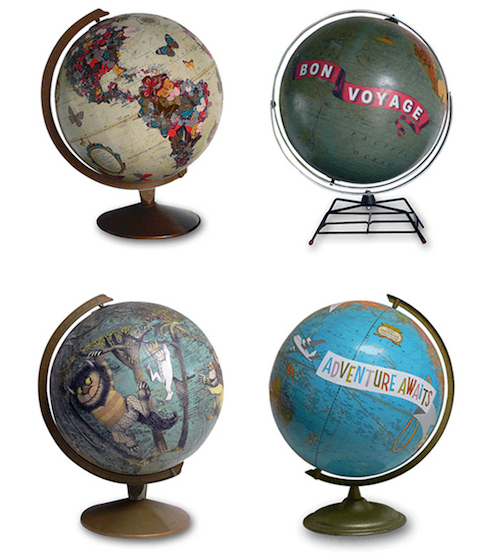 Whether you’re going for an around-the-world vibe or an homage to your second-grade classroom, it turns out that globes work well with virtually any decor. They can remind us of where we’ve been or where we’re going, and with a little creativity, they can also do a heck of a job sprucing up where we are, right now. 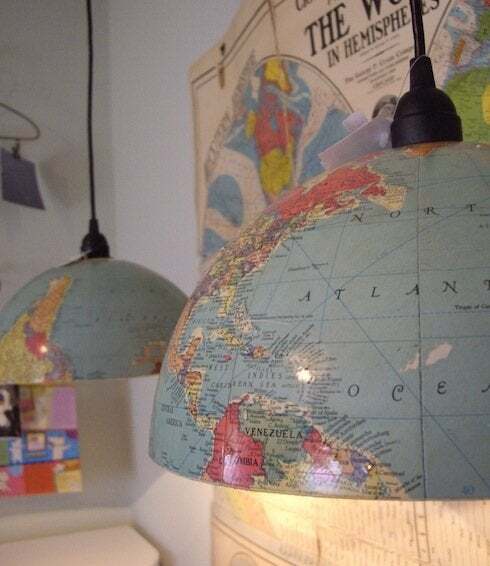 So here are five of the best ideas in globe decor to add a little international inspiration to any interior. Cut along the equator and then punch out circles at the poles for two DIY pendant lampshades that go with everything. 2. ANYTHING CAN BE CHALKBOARD! 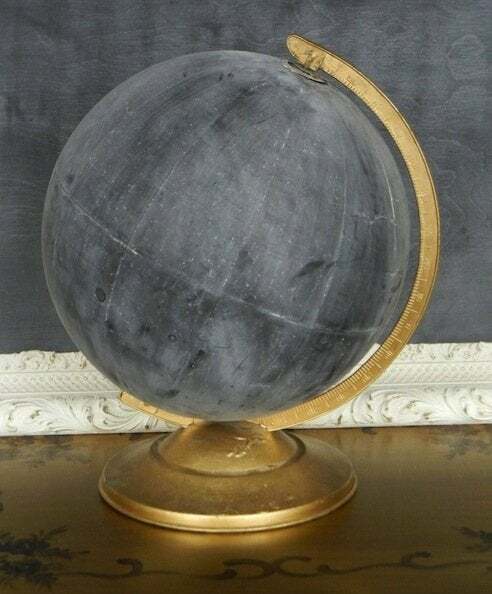 With a little chalkboard paint, a globe becomes a spherical message board. Convenient, cute, and still obviously a globe, even though it’s in disguise. Take your favorite hemisphere (I’m partial to the Northern one, myself) and attach clock mechanics. 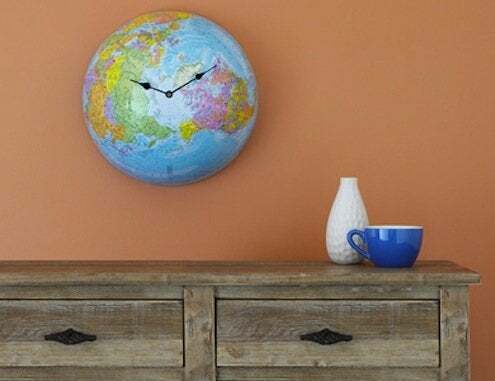 Hang on the wall for a clock that will constantly remind you to plan your next vacation. Instead of trying to find a new use for an old classic, why not just spruce it up a bit. Some decoupage and your favorite images can breathe new life into an old globe, while bringing a little more fantasy into the world. 5. 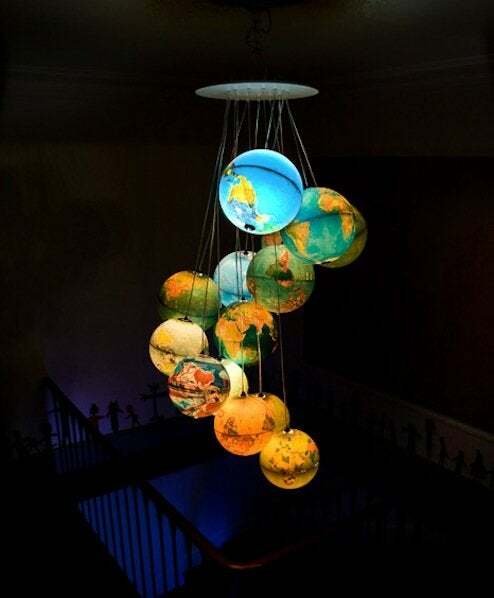 GLOBE CHANDELIER. YES, PLEASE. In a glorious homage to the classroom stable, this globe chandelier turns the world into a sophisticated centerpiece that oozes warmth and wanderlust.